Sunday Suppers are casual gatherings where new ideas and stimulating conversation are the main fare at interesting restaurants. The guest speaker leads an informal discussion based on their work or topic of interest. Reservations are open to current Harvard Club of Georgia members and their guests on a first-come, first-served basis. Attendance is limited to 12 people so that the conversation is more personal and happens around the dinner table. Purchasing a $15.00 ticket reserves your seat at the table and contributes towards the guest speaker's meal. Each attendee orders their own meal and is responsible for his/her check. 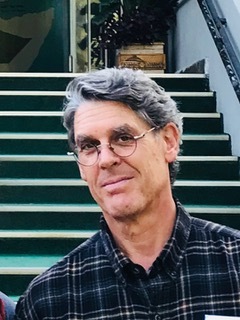 Jim Zingeser is an epidemiologist who has worked at the U.S. Centers for Disease Control and Prevention (CDC) and The Carter Center since 1989. Jim was first trained in clinical veterinary medicine (Michigan State University, 1979) and recently, has been following baboons in Ethiopia to understand disease transmission. He was introduced to veterinary epidemiology as a Peace Corps volunteer in Jamaica, and studied public health epidemiology (University of Michigan, 1990). He began his career at CDC in 1989 as an EIS officer and subsequently worked throughout Africa, Europe and Asia in programs ranging from Guinea worm and polio eradication to trachoma and meningococcal meningitis control. In his career, Jim has been posted to one ministry of agriculture, two African ministries of health, UNHCR and WHO. As the resident technical advisor to the Niger Guinea Worm Eradication Program, Jim helped to build the team that eliminated Guinea worm disease from one of the most highly endemic nations in the world. In 1998, he launched The Carter Center’s Trachoma Control Program in seven countries. Jim returned to CDC to join the Global Polio Eradication Initiative, first as a WHO medical officer and lead epidemiologist for polio eradication activities in the European Region, then as a technical advisor to India’s National Polio Surveillance Project. In 2009, Jim was selected to be the first CDC epidemiologist seconded to the Food and Agriculture Organization of the United Nations (FAO), doing One Health surveillance and response for diseases of public health importance, including influenza, anthrax, MERS, rabies and Rift Valley fever. During the West Africa Ebola epidemic, he was the CDC response lead in the Republic of Guinea for four months, and worked in Sierra Leone to implement One Health response activities for two months. In March 2016, in the face of increasing detection of Guinea worm infections in animals, Jim rejoined the Guinea Worm Eradication Program at The Carter Center to explore innovative approaches to Guinea worm surveillance and response. His current work focuses on understanding transmission in dogs and baboons in Ethiopia.